Home of EZ Lite Campers! 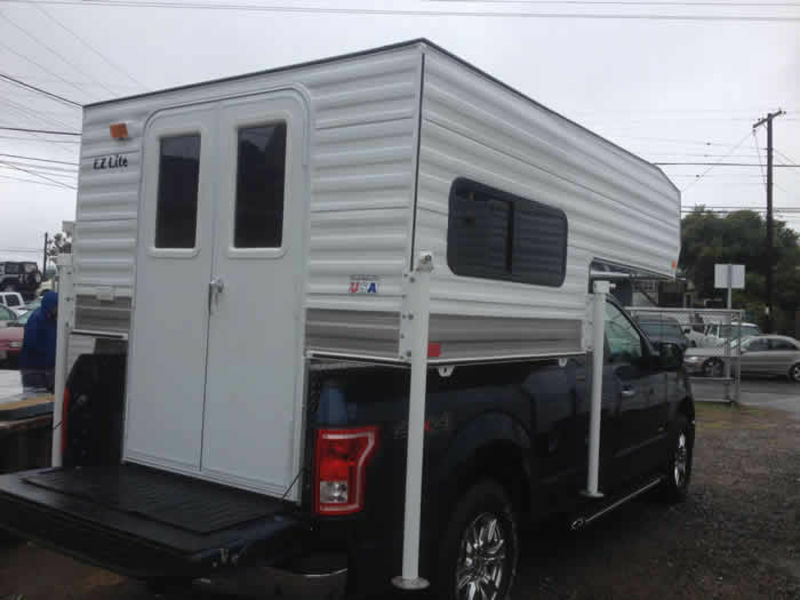 Check out our good clean selection of pre-owned fully inspected Campers and Trailers for Sale in San Diego. All one owner units in perfect working condition save thousands of dollars! We buy for cash, we sell for cash, and we make deals! 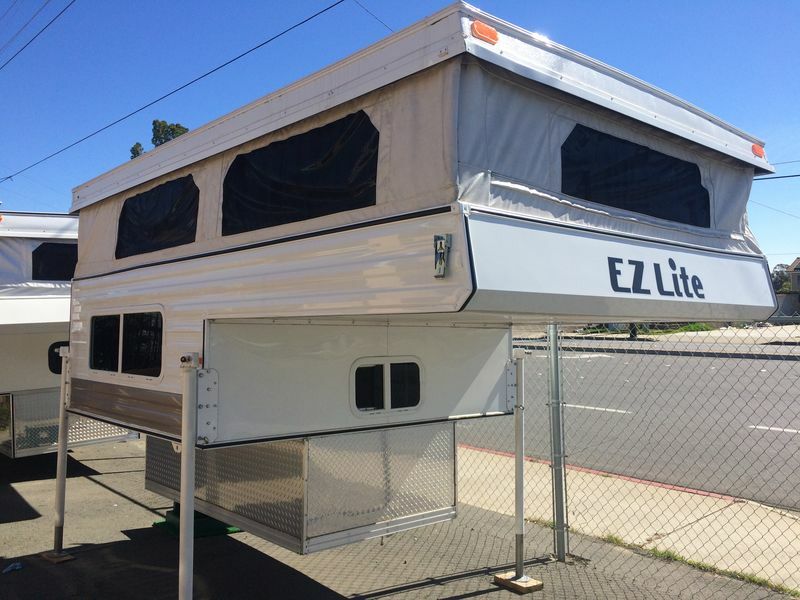 New 2018 EZ Lite 700 Truck Camper. Fits all full size short bed trucks. 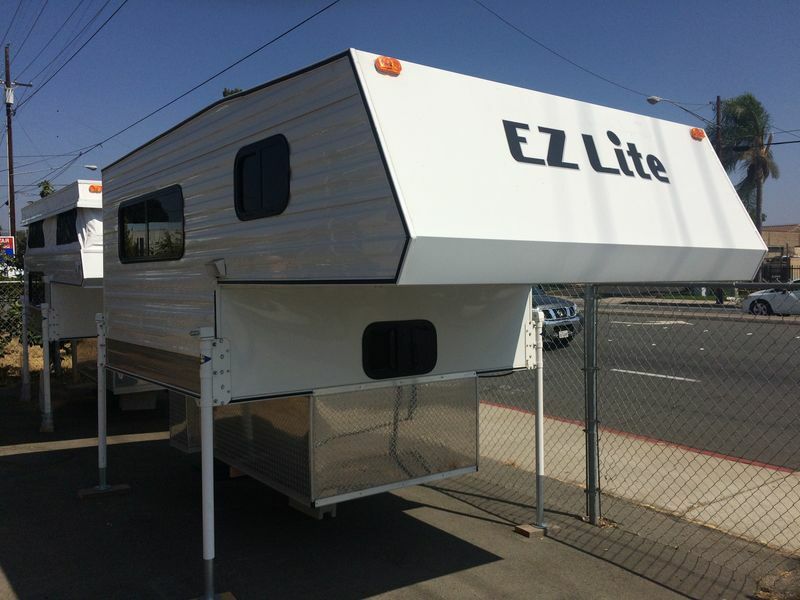 Pre-Owned 2018 EZ Lite Compact Truck Camper. Fits all full size short bed trucks and the new Chevy Colorado! 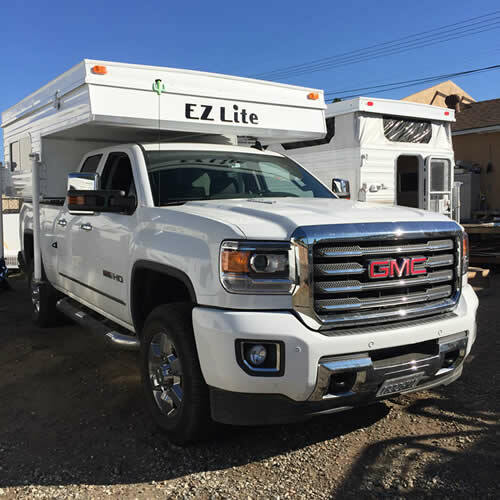 Pre-Owened 2017 EZ Lite Utility Truck Camper. Fits all full size short bed trucks. 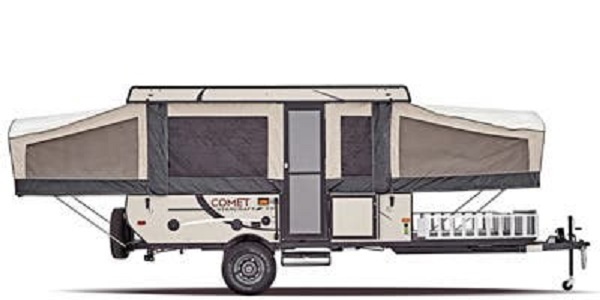 Includes: 110v/12v System, Solar Charging System, Port-a-Potti, Corner Jacks, Locking Inner Storage Compartment, and more! 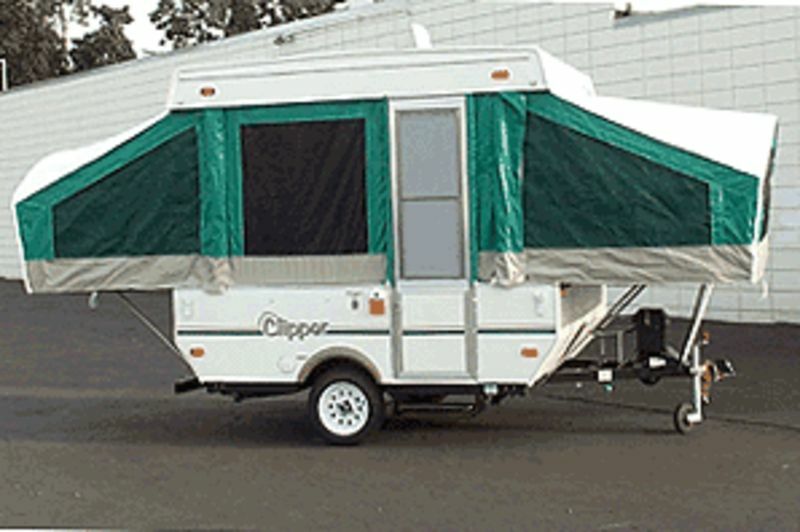 Pre-Owned 2008 Viking Epic 1706 Tent Trailer. Includes: 3 way Fridge, Heater, Stove, Sink, and New Patio Awning! Pre-owned 2015 Starcraft 12RT. Super Clean includes: Roof top A/C, Front Hauling Deck with Ramps. Toilet, Shower, Fridge, Heater, Water Heater, Outside Shower, Indoor/ Outdoor Sound System and more! These sell for $19,000.00 new. Save Thousands!